There's a whole lot of talk about natural wine these days, and never mind that the talk can often result in heated debate—what’s important is that we’re having the conversation. Originating (like so many good things) in France, the exact definition for the term remains hazy, but the principles behind these wines are unanimously agreed upon: use of organic fruit (often farmed with biodynamic principles), implemented, fermented with native yeasts, and vinified with minimal intervention in the cellar. What started out French has quickly become American, too, with the natural wine movement now taking the country by storm. 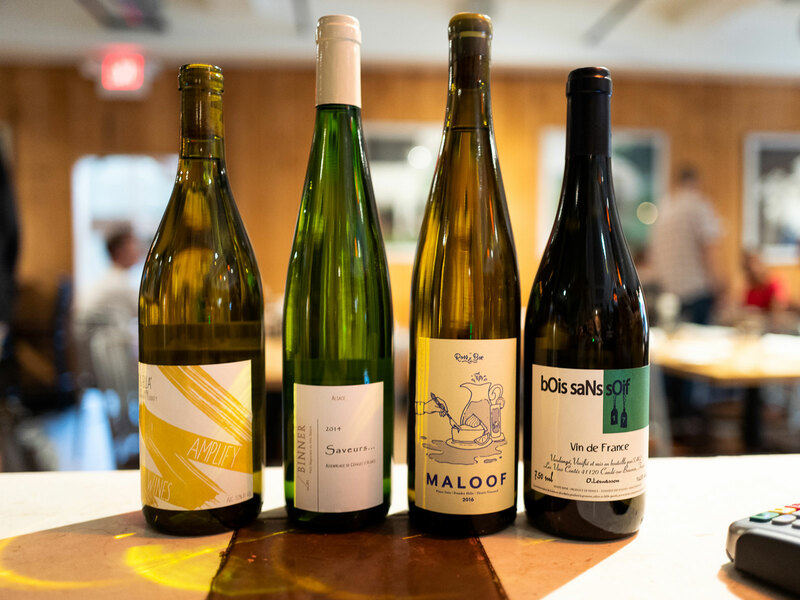 At present, natural wine is nothing short of a nationwide phenomenon, with all-natural wine bars popping up across the country. Looking to whet your palate, and gain a greater understanding of the good stuff? 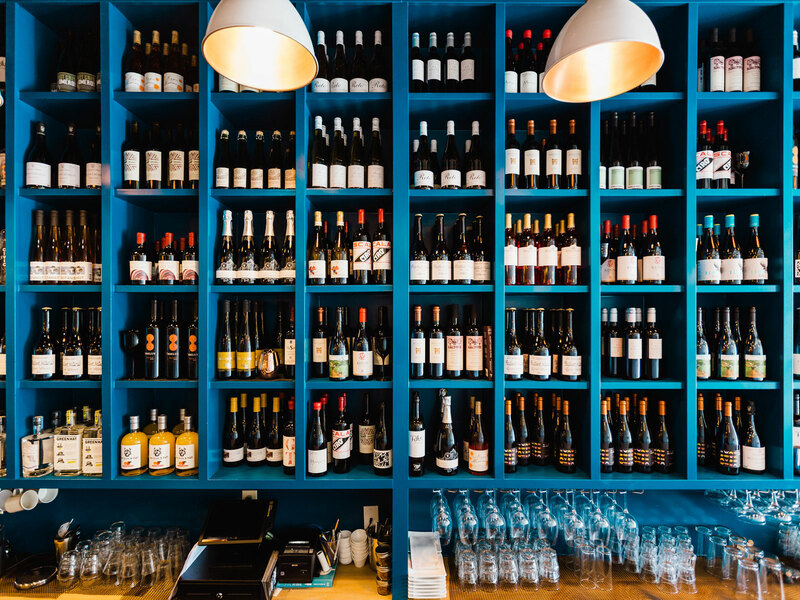 Here are some the best natural wine bars in America, right now—stop in, get to know the juice behind the jargon, gain a greater understanding of the genre, and for goodness’ sake, have a drink. Located in the Park Circle neighborhood of North Charleston, Stems & Skins, whose name appropriately references a cluster of grapes, was established in 2016, focused on serving natural wines, classic cocktails, and a global selection of beers. “Going to Stems & Skins is like going to a close friend's house for the evening,” says Sarrah Wile, founding partner of natural wine importer, Sour Grapes. 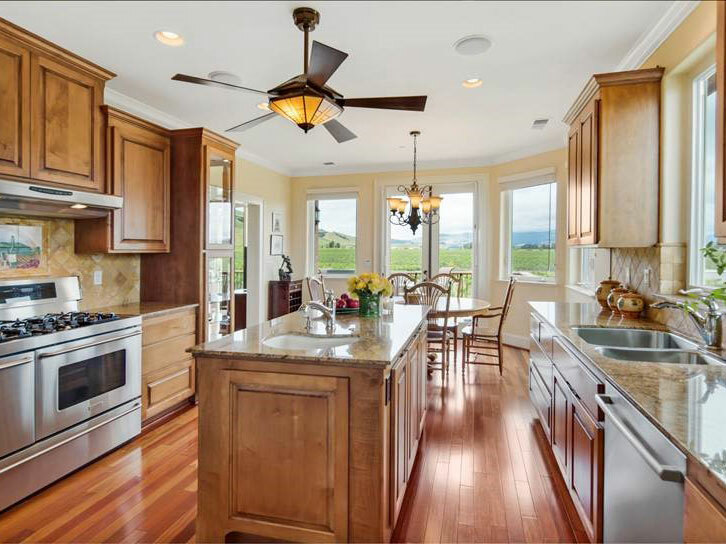 “Matt and his wife, Angie, who is almost always there working the floor, are so welcoming. You know you're in good hands and you really feel that southern hospitality.” Expect Mediterranean-style bar snacks, sandwiches, and rotating special events, such as Sunday Meatball Night, or Vinyl Night—bringing a record to spin will get you a fifteen percent discount on your final bill. Pennsylvania’s long-standing control state laws have made creating a diverse and interesting wine selection within the state near impossible; however, at 320 Market Café, with two locations on Philadelphia’s Main Line, natural wines are king, thanks to the passion and dedication of founder Jack Cunicelli. The focus is predominantly on low intervention wines, with a “dash of organic, impulse value wines,” says Cucinelli, highlighting the shop’s offerings of Robinot, Raffault, Bloomer Creek, and Lucy Margaux wines-- as well as Tessier bottles, when available. Eager drinkers can expect to sip Brianne Day and Tue Boeuf wines by the glass, as well as specially curated (and rotating) flights. Founded in 2008, Red & White is Chicago’s premier natural wine destination, showcasing wines produced with zero chemicals and a hands-off mentality in the cellar. 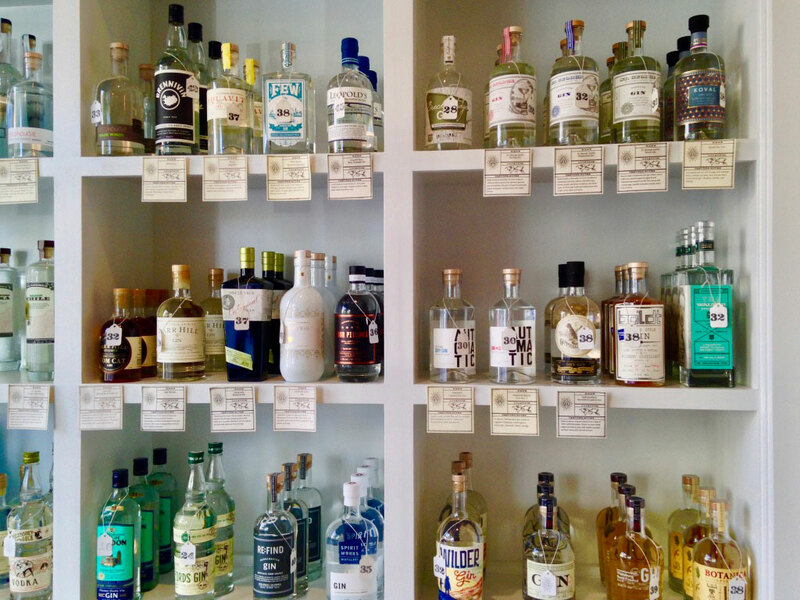 The bar’s hybrid retail/on-premise setting allows customers to simultaneously sip and shop, providing a rotating by the glass/bottle selection. Skin contact sparklers, domestic rosé, and Galician Spanish whites are just a few of the spot’s many by the glass offerings, curated to pair with bar’s bistro menu. Additionally, weekly Saturday tastings, seasonal events, and wine club memberships are a handful of Red & White’s many accessible resources offered to learn about natural wine. 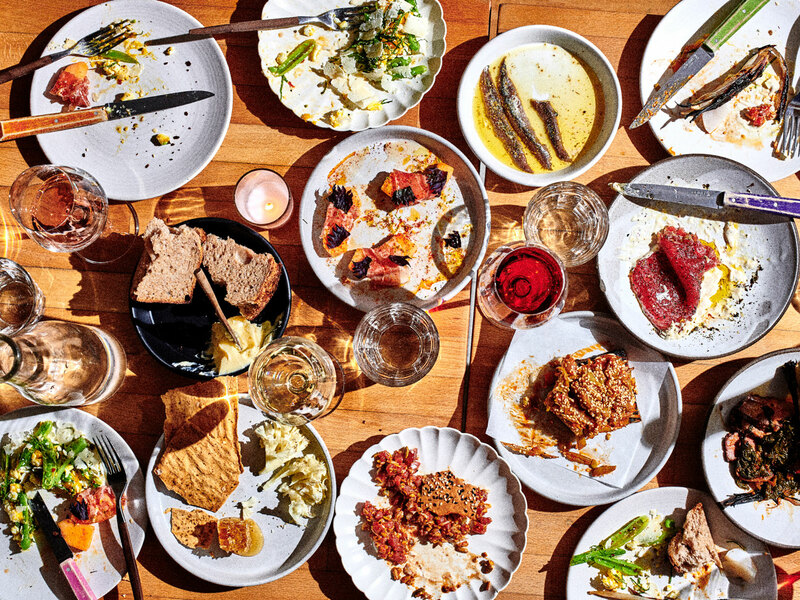 Early to the natural wine game, this institution opened on the city’s Lower East Side neighborhood a decade ago, now. 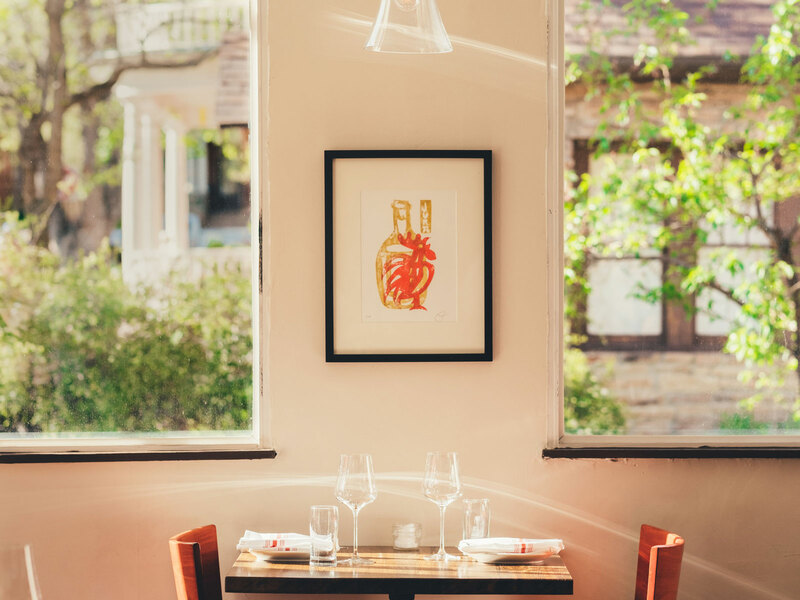 Founded by three employees of Le Pere Pinard, a former neighboring bistro, the philosophy behind The Ten Bells is simple: serve good food and great wine, with a meticulous attention to ingredients and winemaking practices. Dimly lit and intimate, The Ten Bells’ wine list showcases a plethora of global producers, paired with tapas style snacks and small plates. The bar’s daily $1 oyster happy hour, paired with $15 carafes of house wine, is one of the best deals in town. 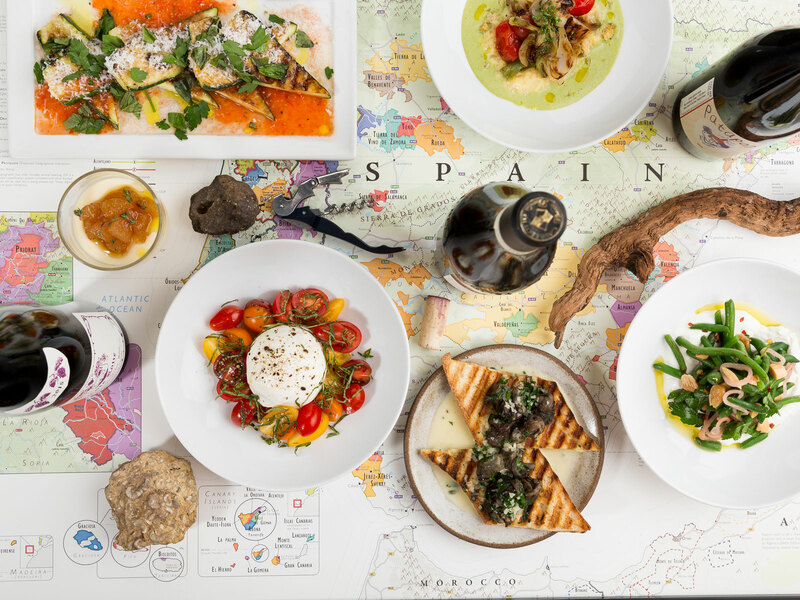 This civilized spot is spearheading the natural wine movement in the country’s dead-center, offering an extensive, international natural wine list, paired alongside a rotating menu of small plates. Dishes are heavily inspired by Mediterranean, East Asian, and Midwestern flavors, showing a unique, complimentary hybrid of various cultures and cuisines. Select by the glass wines are available for just $5/pop on specific days-- though we’d stick around for the restaurant’s extensive wine list, featuring 10+ skin contact wines and a slew of sparkling options. This hybrid wine bar/shop in Montana’s state capital prides itself on spreading the good word on real wine—natural wine, that is. 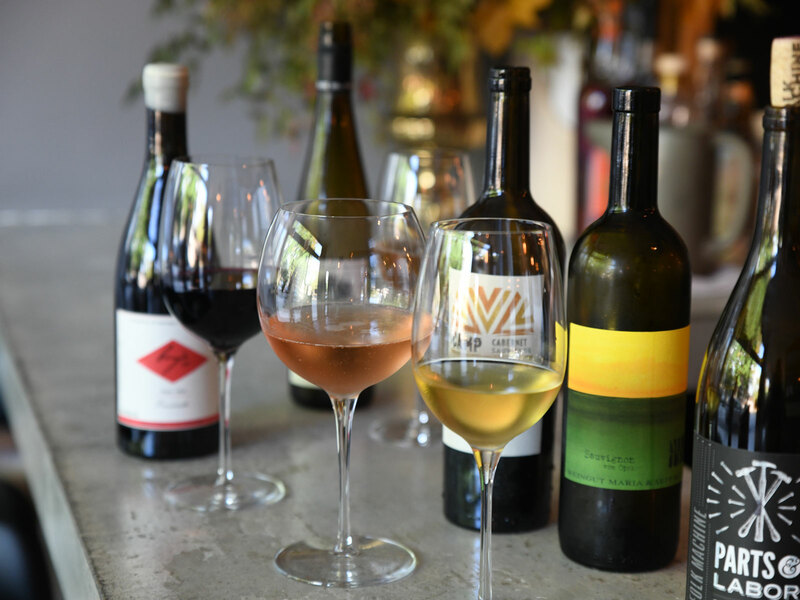 The wine bar consistently showcases at least three no-low sulfite added wines by the glass, consistently promoting an organic, biodynamic, and sustainable heavy list. “This is probably pretty common in larger markets, but in our little town of 36,000 people, this is quite unique,” says Jill Roberts owner of The Hawthorn. “Our community has been incredibly supportive.” Hawthorn describes the company’s philosophy for introducing natural wines to their consumers as very friendly and down-to-earth, presenting wines in an unpretentious manner. Currently, Roberts is in the process of creating various natural wine tasting flights, as well as by the glass, carafe, and handmade wine growler options. 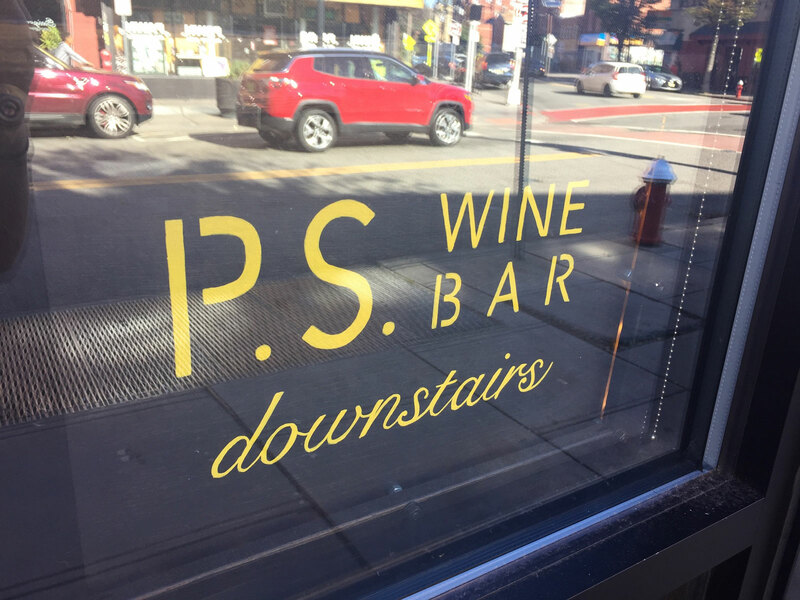 Natural wine bars may be old hat in a certain city just over the Hudson River, but locally, this one’s something of a pioneer. Offering what they refer to as “wine by farmers,” the list here boasts some pretty unique offerings; from sparkling Italian Malvasia to rosé of Zweigelt, the bar’s thoughtfully curated list offers something for everyone, with all wines thoughtfully curated to pair with the spot’s elevated bar snacks. This West Coast great opened way back in 2013, while proprietor Bradford Taylor was pursuing his Ph.D in neighboring Berkeley—his dissertation, a study of the sense of taste. 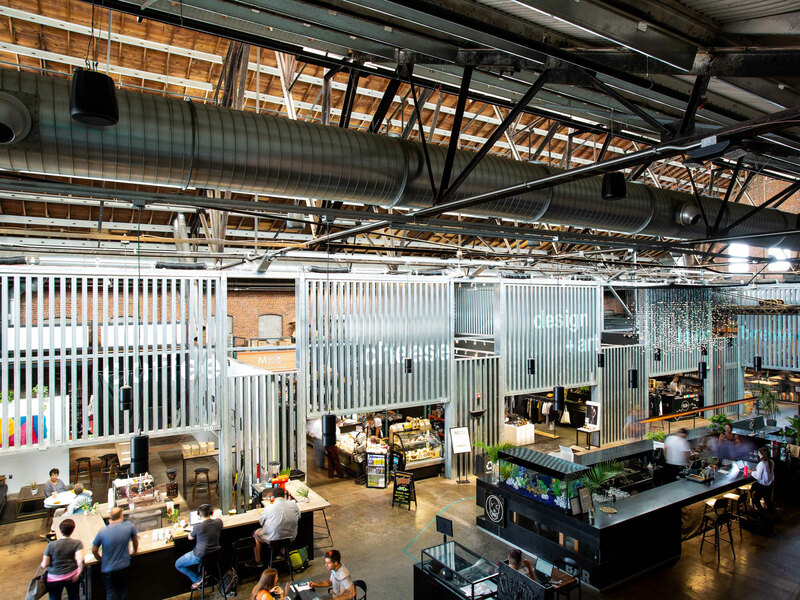 Taylor exclusively sells, serves, and supports naturally produced wines here, also offering up small plates and snacks alongside a dizzying selection of natural wines, occasionally partnering with like-minded chefs to create the bar’s pop-up restaurant counterpart, Bistro Ordinaire. Taylor plays a sizeable role in the organization of the Brumaire Natural Wine Festival, an annual event held in Oakland; many of the events happen at Ordinaire. Less than two miles away from Ordinaire sits The Punchdown, an equally significant player in California’s natural wine movement. The bar follow a strict set of guidelines for the wines with which they work, including organic grape production, native yeast fermentation, and minimal intervention in the cellar; in short, no adding or taking away from grape must and its natural processes. 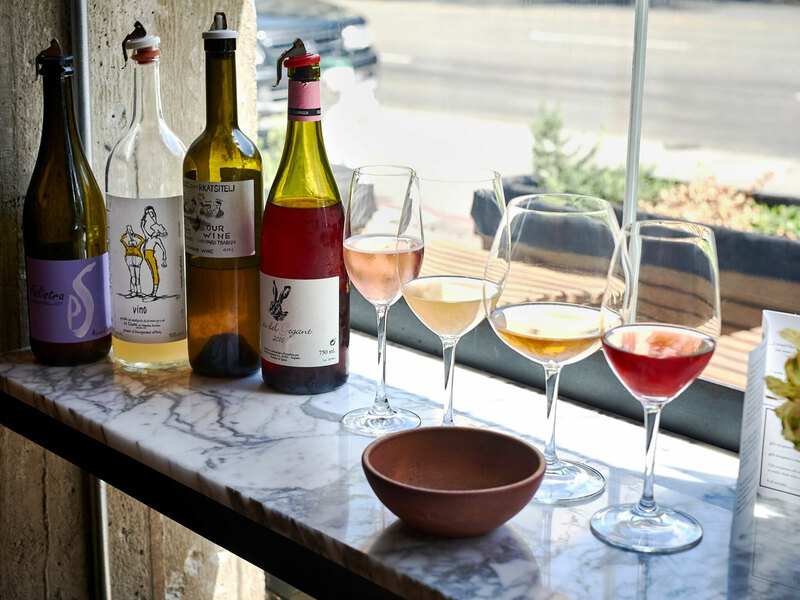 “Ordinaire and Punchdown, both in Oakland, have done an amazing job introducing consumers to natural wines, in a very relaxed setting,” says Amy Atwood, founder of her namesake natural wine importing company. In addition, The Punchdown offers an array of meats, cheeses, salads, and sandwiches to snack on. After much anticipation, Bar Norman finally opened in Southeast Portland this past summer, spearheaded by natural wine aficionado Dana Frank. 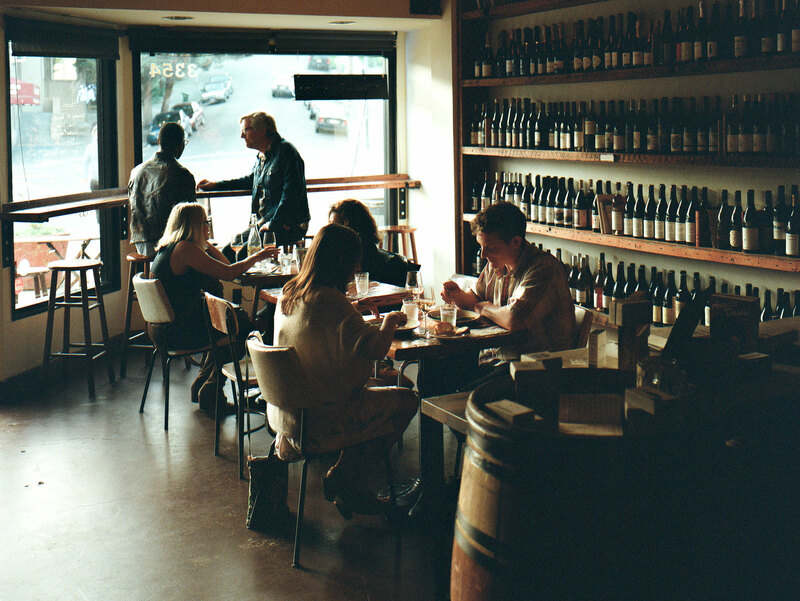 Unlike other natural wine focused spots within the city, Bar Norman serves nothing by the bottle, offering 20-25 unique by the glass pours at all times. Snacks are limited to tinned fish, charcuterie boards, and other small plates-- but really, here, the focus is on the wine, chill environment, and solid playlists. Bar Norman was backed by 194 donors on Kickstarter, raising over $36K to fund the project; the place is named after Frank’s grandfather, and is the most personal (self-proclaimed) project of career. With limited hours of 4PM-midnight, Tuesdays-Saturdays, we’d get there early. Brooklyn probably boasts more natural wine bars per square mile than any other city in the nation, though none are quite so legendary as the one founded by James Murphy, head of the electronic punk band LCD Soundsystem, his wife Christina Topsøe, Randy Moon, and Justin Chearno, a former employee of nearby Williamsburg-based Uva Wines & Spirits. 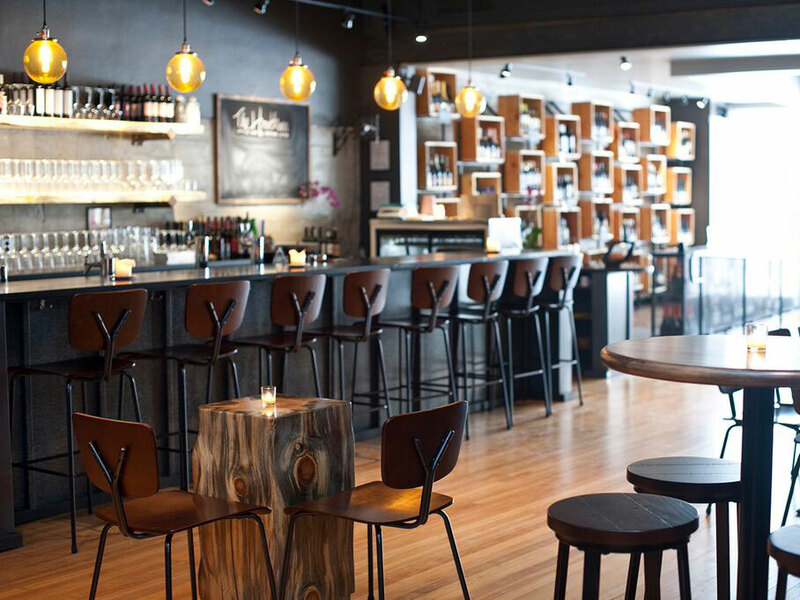 The Four Horsemen combines chill vibes with an insanely stocked, 32-page wine list, making it a go-to spot for neighborhood locals, industry folk, and budding wine aficionados alike. Former Franny’s chef Nick Curtola serves up a vegetable-focused menu, with various meat options available. Wines are known for being superbly priced, both by the bottle and BTG, with a focus on lesser known regions, varieties, and producers. Finding a natural-exclusive list in Arizona is still a bit of an ask, though at this possibly-haunted spot in a 1920’s building downtown, the selection is more natural than not. Expect lots of French and Italian by the glass, sprinkled with a few funky selections from Slovenia, Austria, and Greece. Dio Wine Bar Washington D.C. 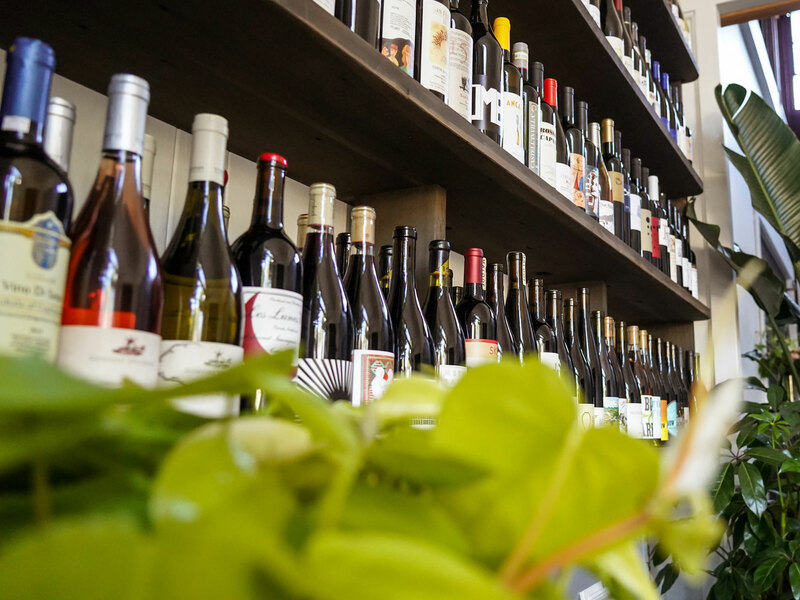 Right on the capital city's happening H Street corridor, you’ll find this terrific spot from Sonoma-born Stacey Khoury-Diaz—the exclusively natural list features over 100 bottles, in addition to by the glass wines. The snack menu features an array of local purveyors, as well as a solid stock of items produced in-house, including jams, syrups, and fresh baked bread. Dio also boasts a solid selection of skin-contact wines, an extensive list of bubbles, and a few selections of local mead. Pour Ma Gueule, loosely translated as ‘for my trap,’ refers to the secret stash of wine that vignerons keep for themselves to enjoy with friends and family. This lax, easy-drinking vibe is exactly the type of ambiance that owner Emily Gold sought to create at PMG: laid-back and enjoyable, amongst a community of curious, wine-loving friends. PMG caters to all levels of wine knowledge, from novice to expert, offering monthly blind tastings, as well as guest sommelier and winemaker visits. A by the glass and bottle list remains Old World heavy, with a smattering of American, Argentinian, and German wines. Happy hour is from 5-6:30 everyday, featuring $5 snacks and glasses-- don’t miss the fried zucchini with honey and parmigiano. Found inside the fashionable Source complex, this bar is owned and run by husband/wife team McLain Hedges and Mary Allison Wright, both passionate about putting natural, non-manipulated wines in front of Colorado drinkers. RiNo’s by the glass offerings include Ramona canned wine cooler, Etienne Calsac Champagne, and a rotating Jose Pastor Selection, paired with raw bar favorites, oysters, and sandwiches; all-day happy hour is offered on Monday and Tuesday, as well as 4PM-6PM the rest of the week. Need to grab and go? The duo operates an adjacent retail shop, known for its “un-manipulated bottlings and honest wines,” says Charlie Humphreys, a local wine distributor.